The escape hood is a filtering respiratory protective device for self-rescue in the event of fire and/or chemical emission accident. 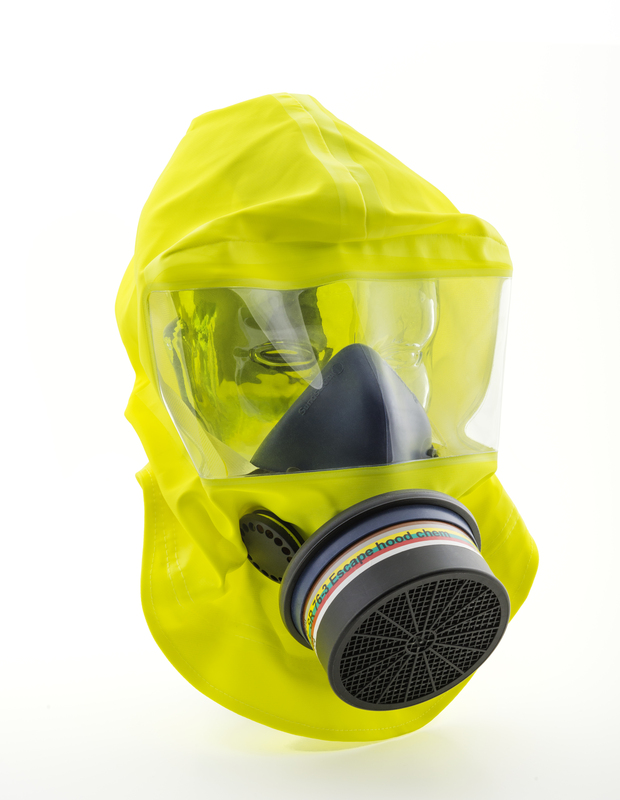 Sundstrom Safety’s escape hood are available in several variations with different filter combinations depending on expected exposure. The escape hood is based on the SR 100 half mask body in silicone and the hood is made of chemical resistant and flame retardant material which gives you an excellent fit and high comfort. The hood can be put on without any prior adjustment. The hood is available in two sizes (S/M and M/L) and fits most adults and teenagers. The two exhalation valves and filter combination with low exhalation and inhalation resistance gives minimal strain for the user in a potential psychological and physical environment. The hood is vacuum packaged in an aluminum bag and is available for both stationary and mobile use in a bag that can be attached to the belt. The durable and vacuum packed aluminum bag gives you a carefree use for 10 years with no need of service or maintenance.